You probably already know that April showers bring lots of frizz, which makes Spring one of the most annoying seasons in terms of hair care. If your perfectly smooth, shiny hair starts looking Frankenstein’s bride’s the second you step outside, then read on! Trio Evanston has a number of surefire ways to fight frizz this spring. Whether you’re looking for a method you can try at home or an in-house hair smoothing treatment that lasts from weeks to months, we’ve got you covered. Read on to see what Trio Evanston can do for you! One of the first treatments we recommend when someone calls us complaining about dry or frizzy hair is the Fusio-Dose. One of the reasons this treatment is so popular is its versaitlity. Whether you’re looking to focus on color protection along with frizz fighting or you have heat damaged hair, there is a perfect Fusio-Dose combination for you. The beauty of this treatment is that your stylist can personalize it fit a number of your hair’s needs! The Fusio-Dose treatment is available for $30 with any cut, color, or blowout at Trio Evanston. If you’re looking for a stronger, longer lasting solution to fight frizz, this is the treatment for you! The Keratin Complex Express is an hour long treatment that fights frizz without affecting your hair’s natural texture. This means that your gorgeous corkscrew curls or naturally straight hair will still be intact, but your frizz will be gone! This is a great option for those who love their hair’s texture but want to fight frizz in a lasting way. The service costs $150 and lasts 6 or more weeks. 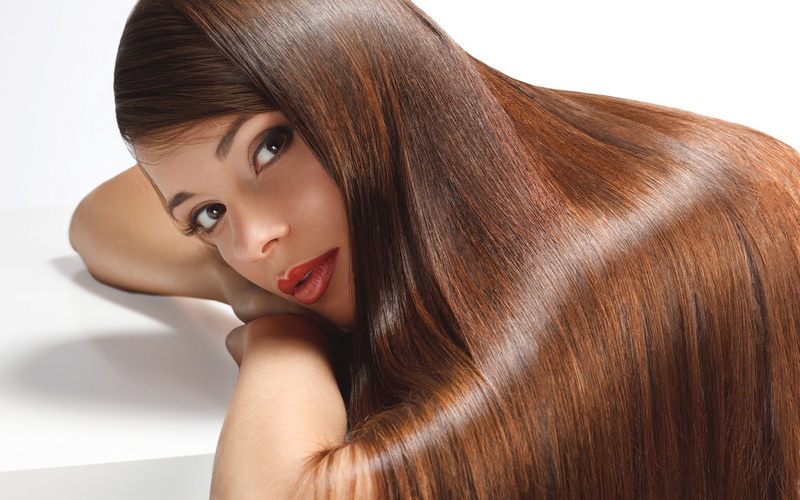 The Pure Brazilian is the ultimate smoothing treatment at Trio Evanston. It takes a couple of hours to apply, but it is well worth it. This treatment can last up to months. It’s a grwta way to fight frizz and all-around smooth out your hair. It’s not one of those dangerous chemical relaxers, but it does have more of an impact on smoothing out your hair’s texture than the Keratin Complex Express. This treatment costs $350 and is the most popular smoothing treatment at Trio Evanston. So you see, whether you’re looking for a quick nourishing treatment to fight frizz or a long term smoothing treatment, Trio Evanston has you covered! Don’t let frizz rule your life this spring. Fight it by booking an appointment at Trio Evanston today!